Lets chat about dandelions. So picturesque ... I can just see the field of green grass, the sun shinning, the dandelion fluff blowing in the warm breeze. This stamp is so soft and beautiful! I am loving this design trend and it is no wonder I want to stamp with these during the long Canadian winter. But wait ... now I envision a teeny weeny tiny red devil floating above my shoulder. He giggles an evil giggle and pops this picturesque dandelion vision of mine with his pitch fork and I wake from my snow induced coma. Back in reality (and up to my ankles in 12" of fresh fallen snow), I remember that dandelions are devils themselves. They grow and spread like weeds because they ARE weeds. They destroy my lawn, hurt my bare feet and wreak havoc on my allergies! Damn dandelions!! They sure are cute to stamp with though - don't you think? Today I am designing for the TGIF Challenges. 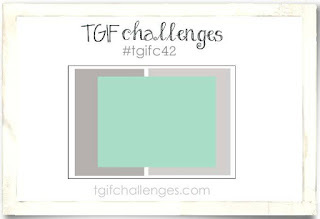 This week, #TGIFC42, is a layout challenge. When I saw this I instantly thought to create a "Z-fold" card. I have created a card with this fold before. It was ages ago on the blog. (Click here to see that post). It is cool to see how much I have grown as a blogger since then. Fold your card base (4-1/4" x 11") in half. Fold the card front back toward the center fold line to create the Z-fold. Easy as pie! 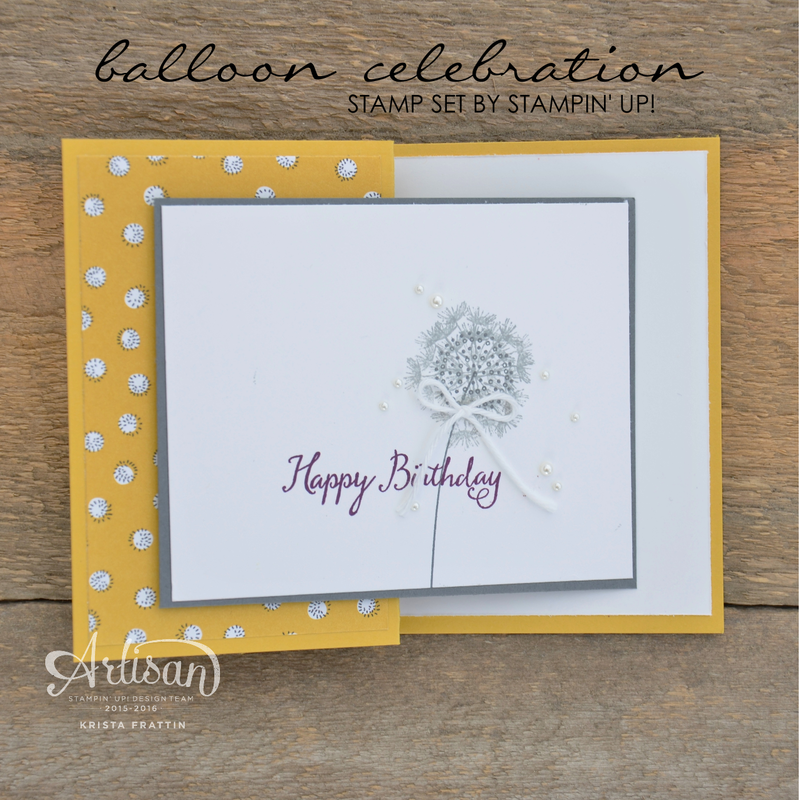 If you are a regular follower (thank-you), you may know that I blogged a card on Monday with a dandelion. If you are a die hard Stampin' Dolce follower (and who isn't), you may have noted that I blogged a fun fold card as well. Either I was in a creative mood or a rut ... you be the judge. Click over to the TGIF site all week long to see what TGIF followers are creating and sharing. Take the TGIF challenge this week and share your project while you are there! I would love to see what you do!